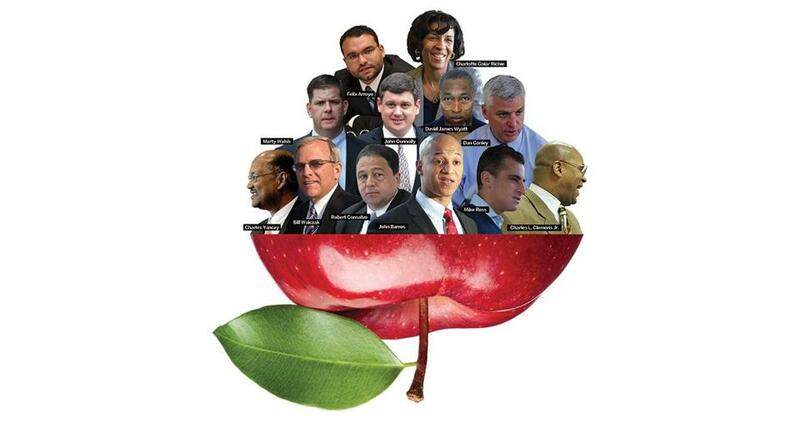 The twelve candidates for mayor have voiced varying degrees of support for lifting the charter school cap. Education may emerge as the central issue in the Boston mayor’s race, and not simply because the school system is one of a handful of big-city districts across the country under mayoral control. Two decades after the Education Reform Act of 1993 set the ambitious, but so far elusive, goal of raising all students to academic proficiency, there is growing momentum behind a fundamental rethinking of urban education that some believe could provide the foundation to actually reach that goal. That rethinking is being driven by an idea that has animated much of the education reform movement — that schools operate best when they are given the autonomy to assemble a teaching staff committed to a common vision and the freedom to structure a curriculum and school day that supports it. That autonomy, together with accountability for delivering results, is the main underpinning of independently run charter schools. A recent study by Stanford University’s Center for Research on Education Outcomes found that Boston had the highest-performing charter school sector of any city in the country. But giving schools more autonomy has also been at the heart of district reforms, including “innovation schools” recently authorized by the Legislature and turnaround efforts targeting the most troubled schools. A coalition of more than 90 education and nonprofit leaders wants to put this vision of school-level autonomy at the center of the mayor’s race. The new “Boston:Forward” coalition is calling for removal of the state cap on charter schools and for the embrace of a strategy to make school-level autonomy the governing principle, rather than a carve-out exception, at Boston’s 128 district schools. What is surprising — and a sign of just how ripe the city may be for fundamental change — is the degree to which candidates are embracing the need to take bold steps. Nonprofit leader John Barros, Suffolk District Attorney Dan Conley, City Councilor John Connolly, and health center founder Bill Walczak have all voiced support for lifting the charter cap and driving autonomy down to the school level within the district. Other candidates have endorsed parts of the agenda. In 2006, Boston won the Broad Prize, given annually to an urban school district showing the best achievement gains. But the dismal state of education in urban America means it is possible to rise to the top of that world and still be awfully far from where students need to be. More than half of all Boston district students are still not proficient in math or English language arts. An equally false signal sent by the Broad award, however, may be the idea that large district systems are even capable of having most students achieve at high levels. There is no example of it in US education, and reformers are increasingly convinced that large, centrally run systems, governed by thick contracts and lots of directives from the district office, are not suited to yield broad-based student success. Andrew Bott, principal at the Orchard Gardens School in Roxbury, says the sweeping power he was given over staffing and curriculum when the school was designated a “turnaround” three years ago has been indispensable. Last year, Orchard Gardens had among the highest levels of growth in student achievement of any school in the state. “You own your successes and your failures,” Bott says of the autonomy, which is a given in almost any other organization where there is an expectation to drive improvement. Extending that sort of autonomy over hiring to all schools will be a tough sell with the Boston Teachers Union, which resisted efforts by Mayor Menino to include more hiring flexibility in the last contract. But the autonomy given to turnaround schools came through state legislation, not contract negotiation, a potent lever for further change. A bill in the Legislature would extend the same autonomies granted to Orchard Gardens and other low-performing schools to schools struggling just one rung higher in the state accountability system. That would cover nearly half of all Boston district students. Ironically, while the reform impulse seems to have some real traction in the Boston race, candidates vying to succeed New York City’s term-limited mayor, Michael Bloomberg, are trying to outdo each other in pledging to roll back parts of the aggressive school reform agenda he put in place. That is a cautionary tale about the backlash that can result from steamrolling through big changes. But the new education call in Boston is really only taking the seeds of existing reforms — Boston’s cohort of high-performing charter schools and the autonomy increasingly being given to district schools — and letting them fully bloom. That said, this new vision would represent a gigantic leap on the reform movement’s evolutionary chain. The mayor’s race will go a long way toward determining whether Boston is prepared to make the jump. Michael Jonas is executive editor of CommonWealth magazine.